The Digit-al Dozen has been creating special birthday posts each month. Group members with birthdays in that month get to pick an inspiration image for everyone to create manis based off of. 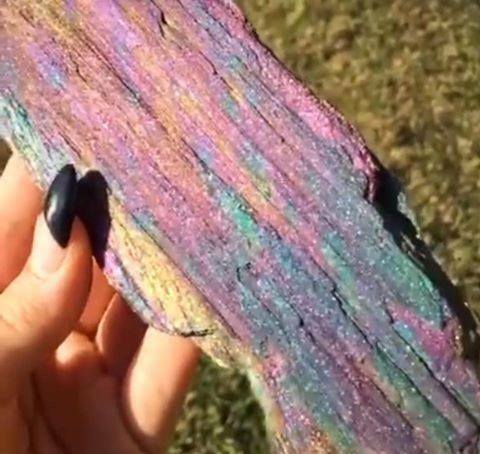 I was the only one with an October birthday, so I chose an image of a sparkly, rainbow piece of wood we have dubbed "unicorn wood".